Earlier this year, I wrote was about my favourite three NEW young adult authors that I came across in 2012. 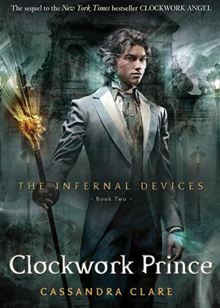 Cassandra Clare is not a new author to me, or she would have been top of my list! My sister (a high school teacher and an excellent source of new young adult fiction recommendations) gave daughter number two the first three books several years ago. She read them. I read them. Her father read them. Her friends read them. We anxiously awaited the publication of the next series, book by book. We went on to Cassandra Clare’s Tumblr (still not entirely sure what a Tumblr is, so I’m just getting by thinking of it as a blog) and avidly pounced on every scrap of news about the new books and !gasp! 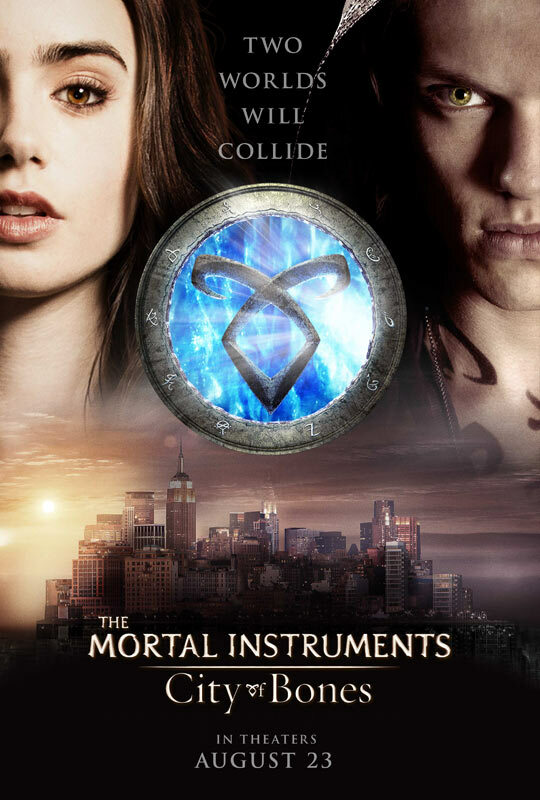 a movie of the first book! What makes these books so good? Where to start? The world, first of all. This is a detailed, comprehensive, dark contemporary fantasy world. It has a rich history (so much so that the second trilogy is set over a hundred years before the first three books to be issued) and is consistent and beautifully described. From the very first page, you’re hooked into this magical world lurking beneath the surface of our world and yet it is instantly believable. The characters are vivid, and although they make mistakes, these are often out of ignorance or impatience or stubbornness rather than an annoyingly stupid or uncharacteristic choice. The main characters are all teenagers, and their choices often reflect their age and life experience. 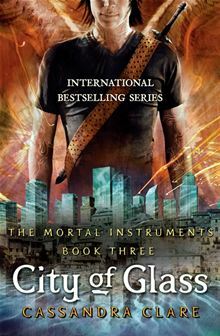 Clary, the main character, is pitchforked into a world she had never even dreamed of, and her choices are informed accordingly. There are some delightful characters in these stories; some unexpected plot twists and some satisfyingly evil bad guys. I’d recommend these for slightly older teenagers, although my fourteen year old has been reading and loving these since she was about eleven. She’s getting more depth of meaning and her awareness of the layers of subtlety has increased with each subsequent rereading. Highly recommended books for keen teen readers or for those adults who enjoy well-written stories. 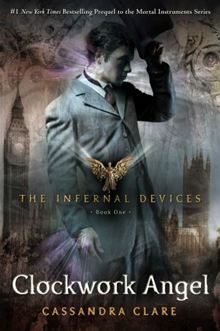 And the final book of the clockwork series is out and was purchased by said sister today! Morgan and I have beaten you to it! We were very happy with it!